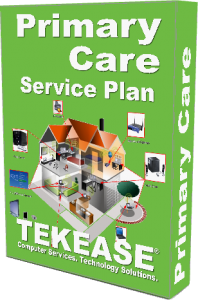 A TEKEASE computer support plan provides you with affordable and predictable cost computer care. Our computer support plans provide you with access to expert support staff when you need it. Our entire staff of U.S. and UK-based technicians provide remote care using our state-of-the-art technology. 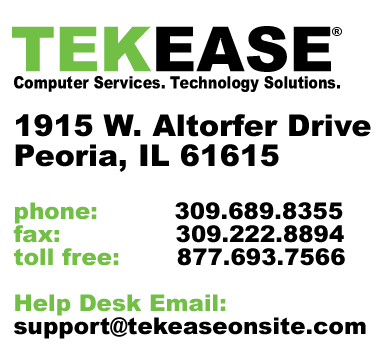 Get the help when you need it with one of TEKEASE computer care support plans. PC's Covered Not Applicable Up to three baselined systems. 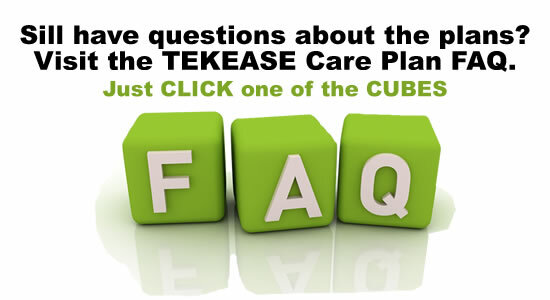 *All TEKEASE Care Plans require a one-time system baseline and 12 month service commitment. Service plans are billed to client monthly on authorized credit card. First month of plan billed at selected plan monthly rate plus $99.00 System Baseline for each system added to the service plan. Acceptance by TEKEASE is subject to terms and conditions outlined in the Care Plan Service Agreement and TEKEASE Terms of Service. Satisfaction Guaranteed! See service agreement and Terms of Service for details. Optional data backup plans are for residential use only.